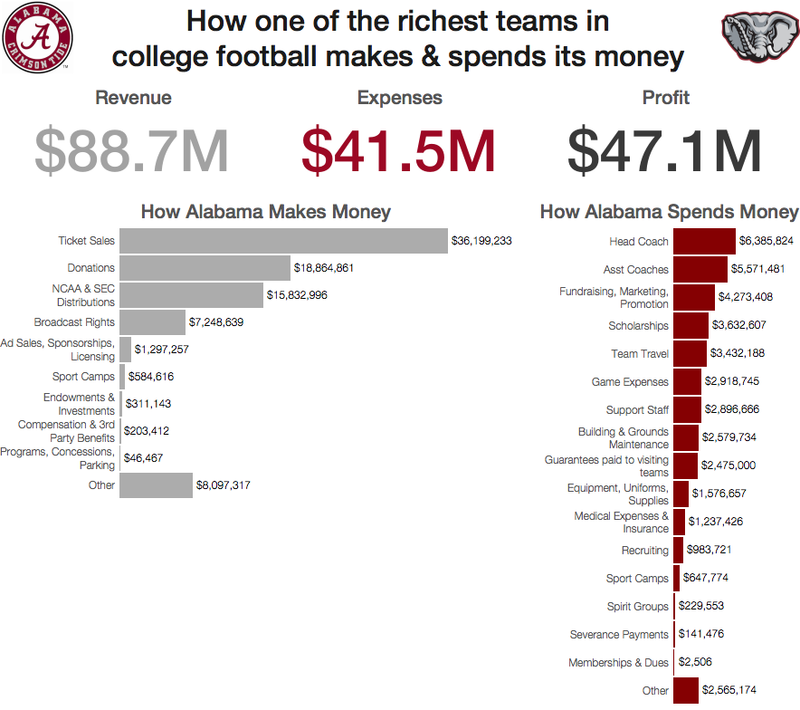 On his great Evolytics blog, Ryan Sleeper, former Iron Viz Champ and renowned design guru, wrote about how to create donut charts in Tableau. His technique is sound. The concern I have is that he recommends using floating objects on a dashboard to create the hole in the donut. 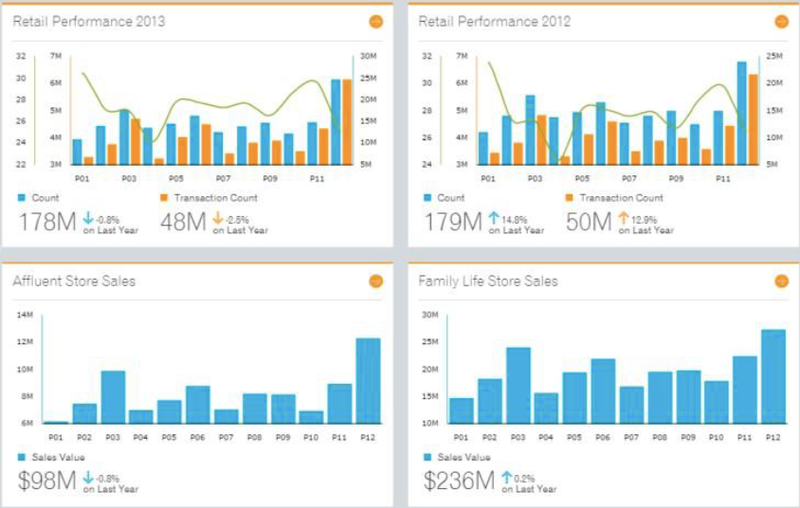 If you have any experience with floating objects in Tableau, you know the pain of taking lots of time to make a dashboard look perfect in Desktop with floating objects, only to have it get all messed up once you publish it to Server or Public. I rarely recommend using floating objects for just this reason; it's frustrating and can make your work look sloppy. 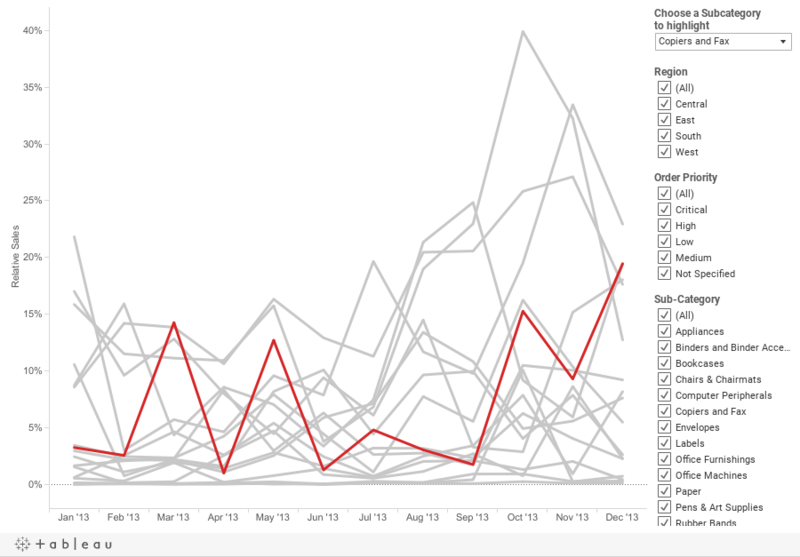 Hopefully Tableau soon fixes this bug that has been around as long as floating objects have existed. Another reason to avoid floating objects is that there are more objects that have to be drawn on the dashboard, which can potentially have a performance impact. When used for the specific purpose of showing a metric’s progress to goal, with one “slice” being the current state of the KPI and one “slice” being the remainder to goal, I think a donut chart works well. 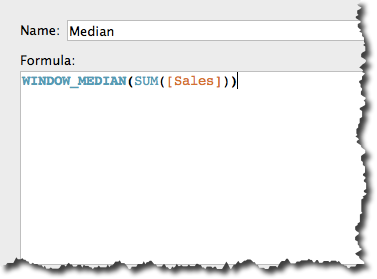 I don't use background images often in Tableau. 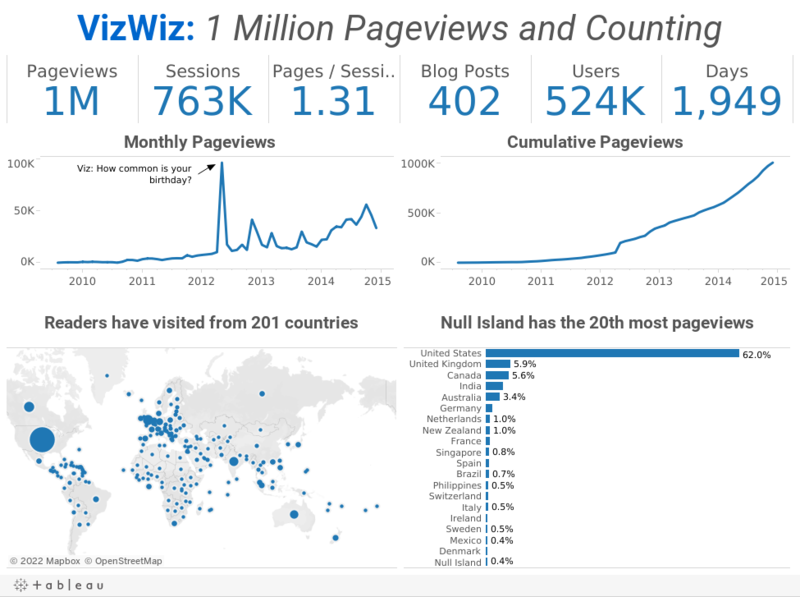 In fact, I never knew how to REALLY use them until I went to Tableau Trainer Certification with Molly Monsey, trainer extraordinaire at Tableau. 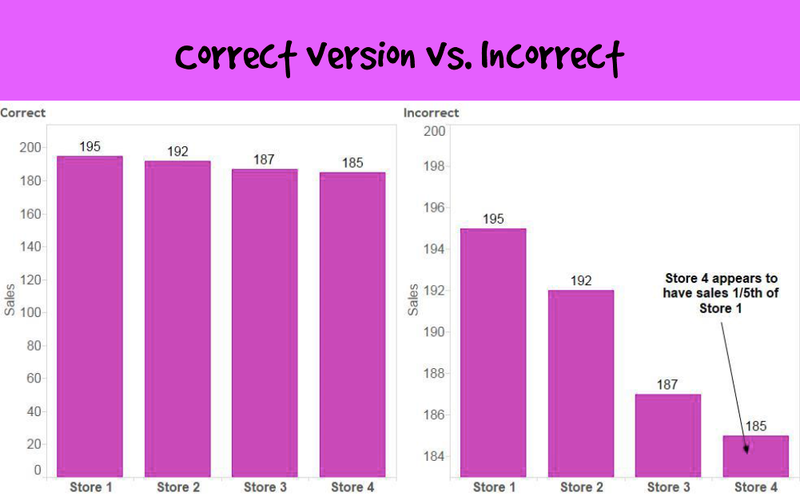 With Molly's permission, I am sharing with you the super simple way that she showed us how to add labels to background images in Tableau. First, here is the video and farther down the page are summarized steps with screenshots. 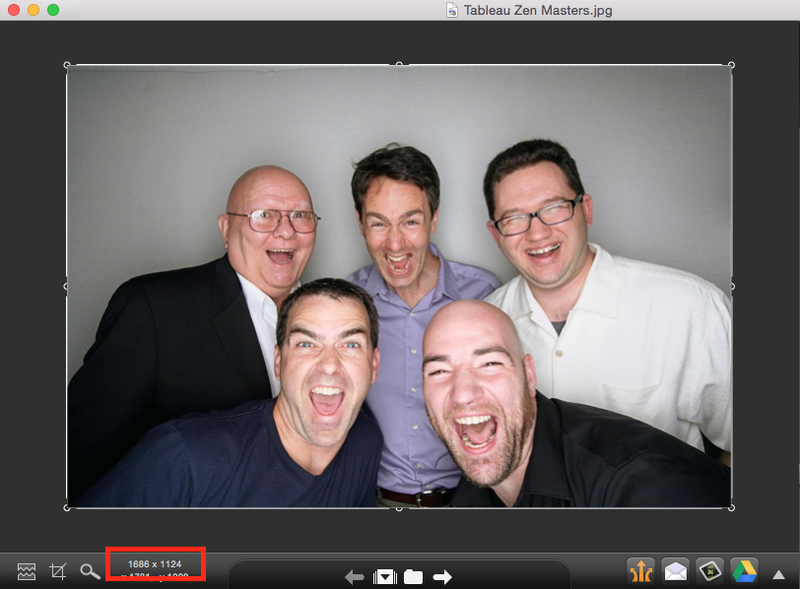 Step 1: Open the background image in a tool like Snagit to get the dimensions. Write the dimensions down. 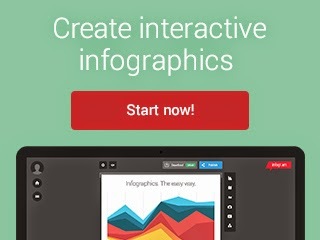 Step 2: Create a data source. 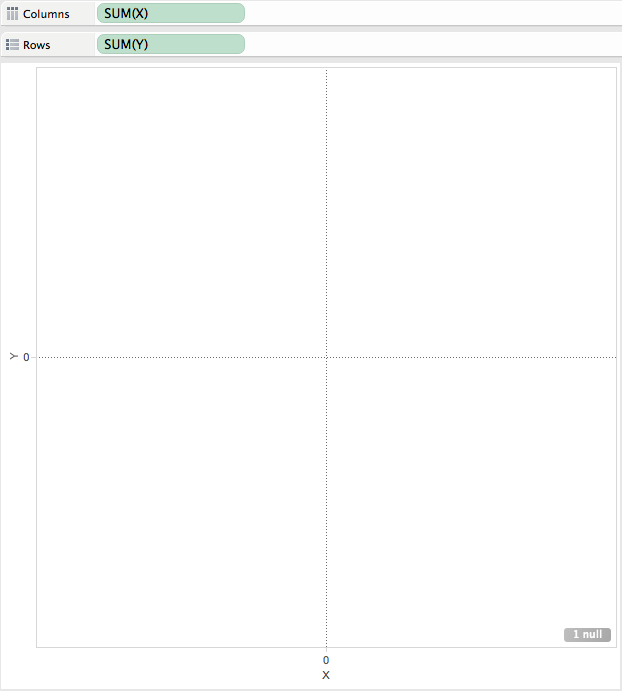 In this example, I created the outline of the data source in Excel and left the X/Y coordinates blank. 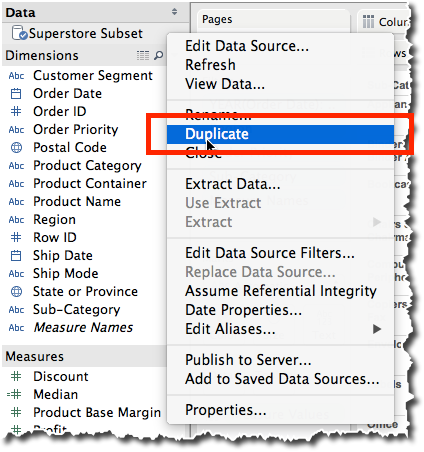 Step 3: Connect to the data source created in step 2 in Tableau. 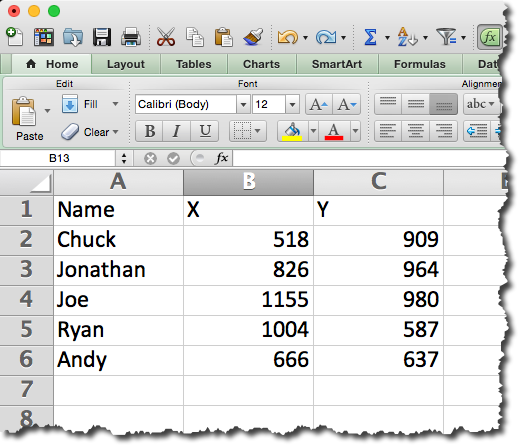 Step 4: Change the data type for the X & Y fields to Numbers and move them to the measures area. 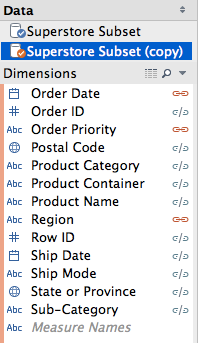 Step 5: Add the X field to the Columns shelf and the Y field to the Rows shelf. 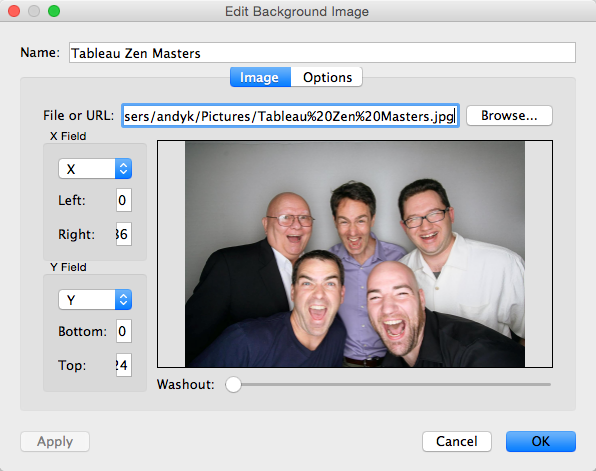 Step 6: Add the background image by going to Map => Background Image => [Sheet Name]. Choose the image and enter the dimensions that you wrote down in step 1 in the Right and Top boxes respectively. Step 7 (optional): Fix the axes to the size of the image. Step 8: Hide the axis headers. 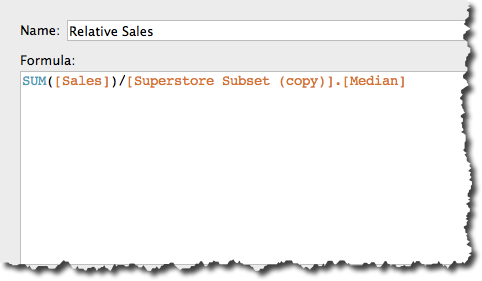 Step 9: Drag the Name field to the Label shelf. Step 10: Annotate a point with the X/Y coordinates. Note how this looks after you hit OK. You can now move the end of the arrow around to get the coordinates of any point in the image. Step 11: Move the end of the arrow around to each place in the image that you want to place a label and enter those X/Y values into the Excel spreadsheet. 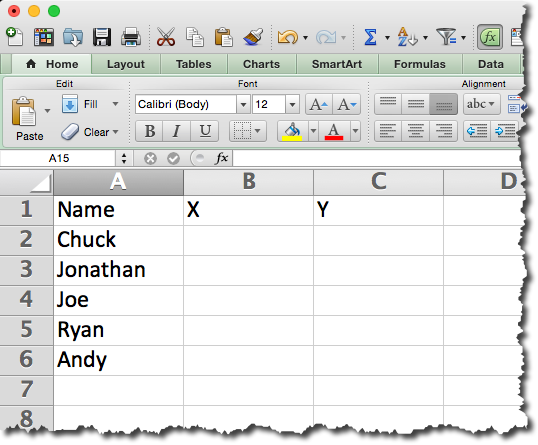 Save the Excel spreadsheet. Step 12: Refresh the data source in Tableau and the labels will magically appear above the heads of each person. 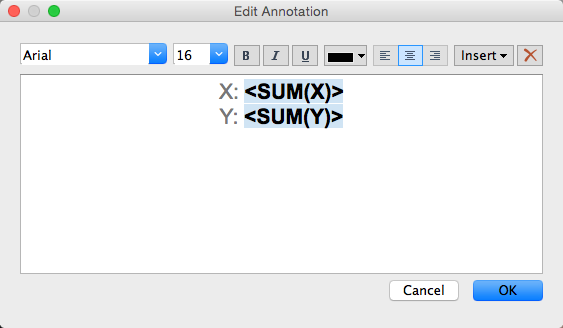 Step 13: Remove the annotation. 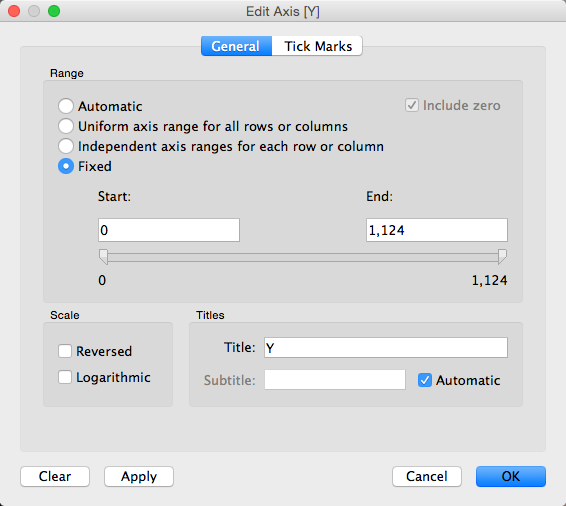 Step 14: Change the Mark Type to Text and format the text as you see fit. That's it! You can download the Excel file here and the Tableau workbook here. 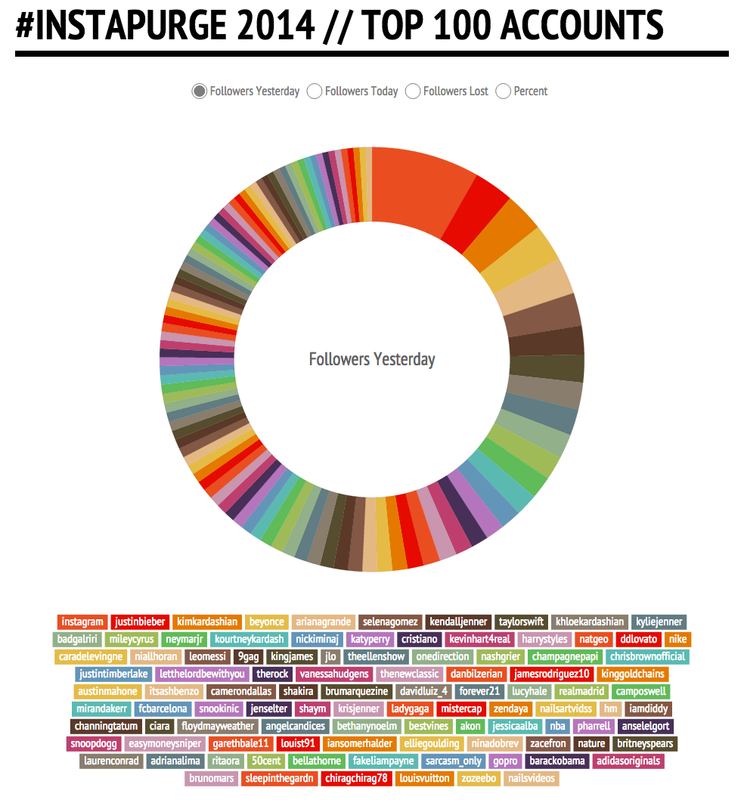 Makeover Monday: Instapurge - Which accounts lost the most Instagram followers? If you're an Instagram user, you likely noticed last week the message on the app indicating the sweeping cleanup of spam accounts that was coming. The cleanup took place late last week and shortly after I saw this donut chart from Zach Allia. Click on the image below to go to the interactive version. Holy cow! What an overwhelming mess! So what's wrong? It's a donut chart, which is a terrible way to display ranking relationships. When you change the metric, the sorting gets lost. There are way, way, way too many colors. It's impossible to make any sense of this. 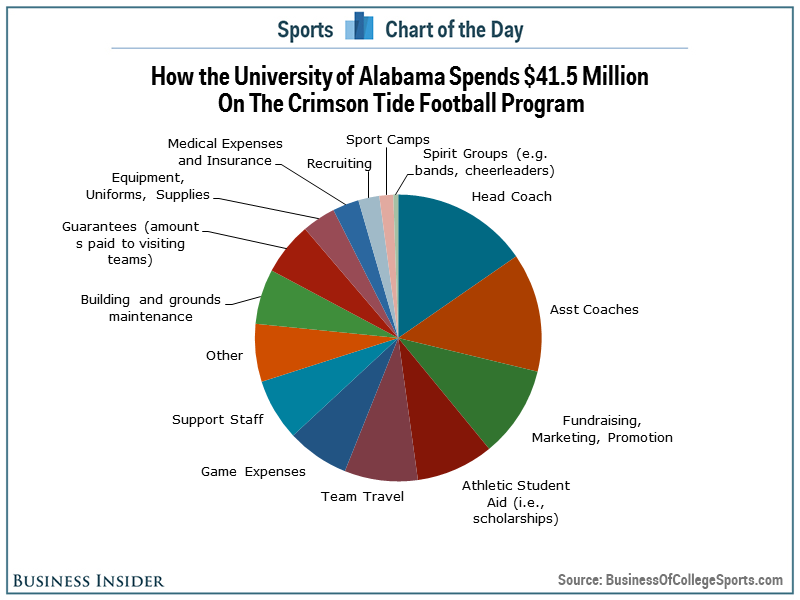 Whenever I see pie charts or donut charts, I immediately turn to bar charts as a way to communicate better. 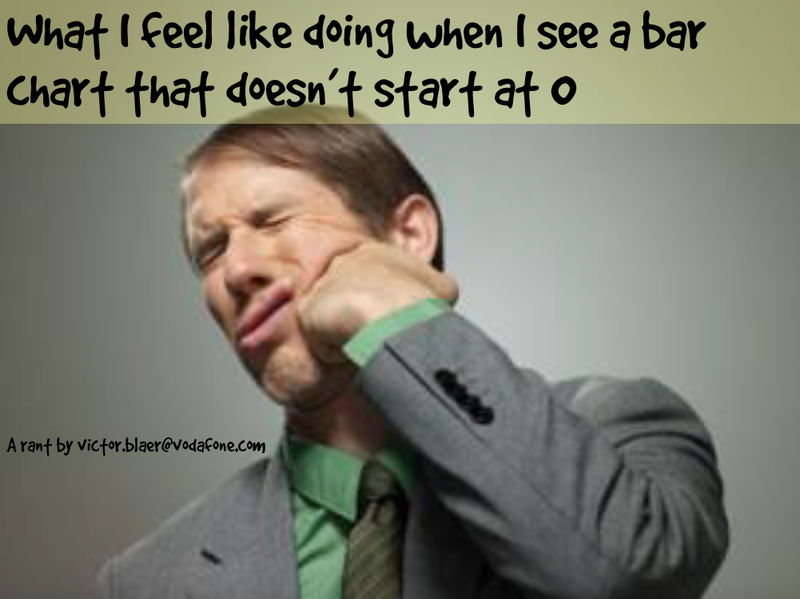 Some might call me boring, but I'm ok with that. Here's my makeover. Click on a metric to see it's value and to sort by that metric. 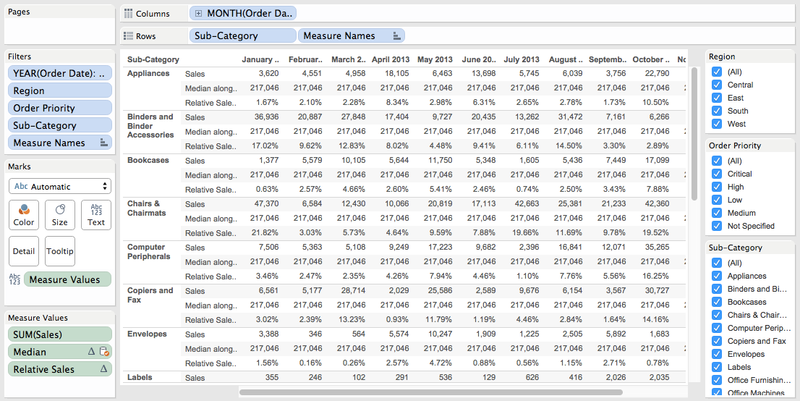 You can download the Tableau workbook here and the data here. My dislike for the pie chart is well documented. 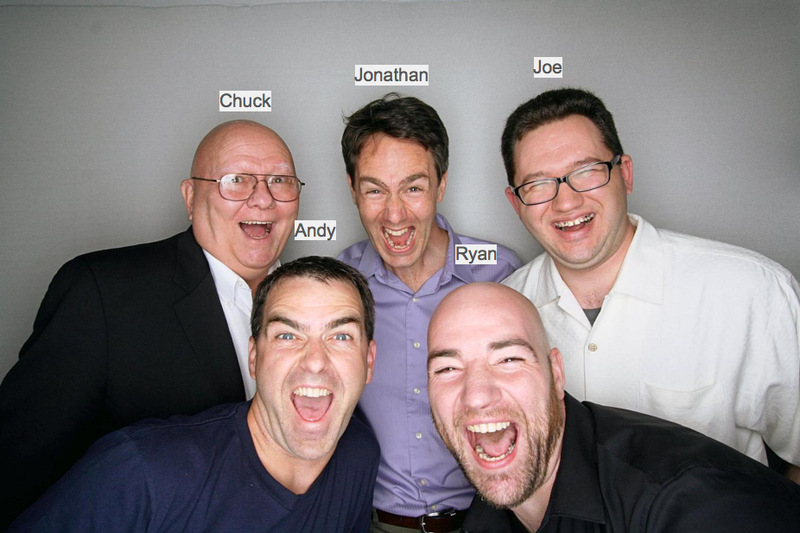 Yesterday morning, Tableau Zen Master Matt Francis sent me this gif of a pie chart makeover. Each slice is labeled with the category and the amount. Why not just make it a table if you're going to do that? There's no apparent order to the slices. At least sort the slices in descending order starting at 12 o'clock. 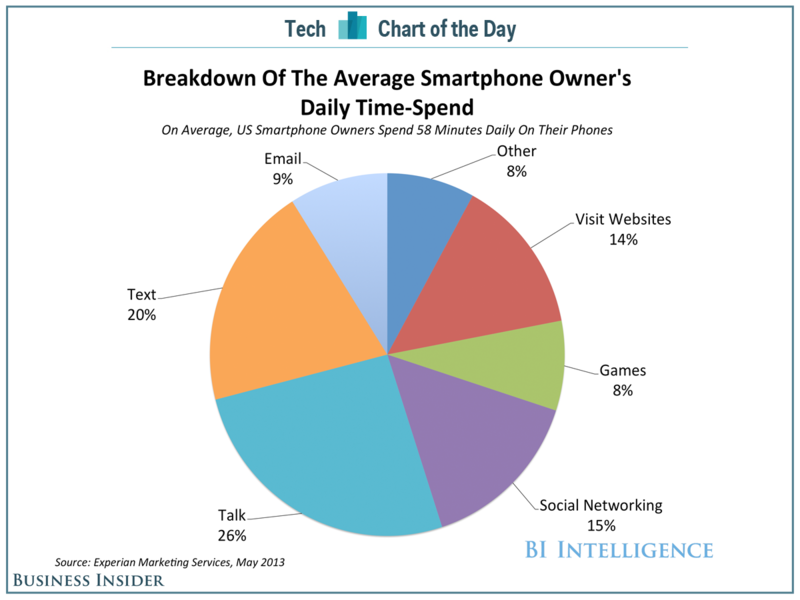 In the article, they emphasize the top 3 categories, but they don't emphasize them in the pie chart. I'm a HUGE sports fan and love to watch live sports, which means I love ESPN. 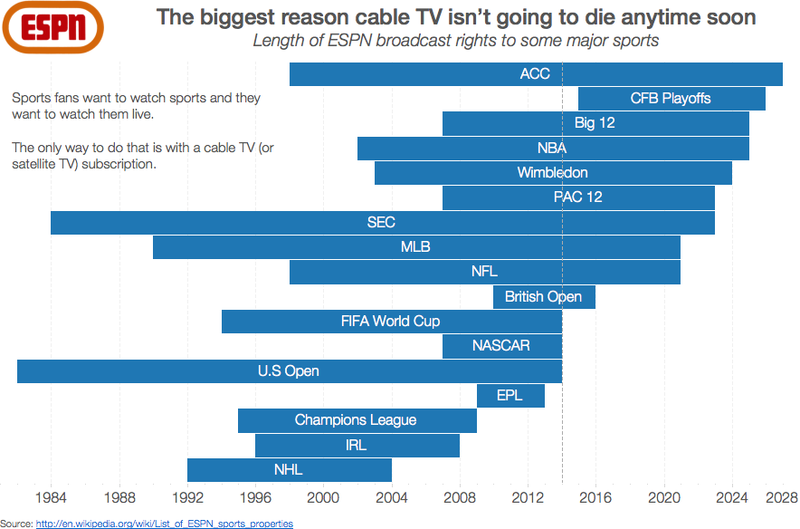 This also means I'm tied to cable or satellite TV since ESPN does not broadcast online without a subscription. 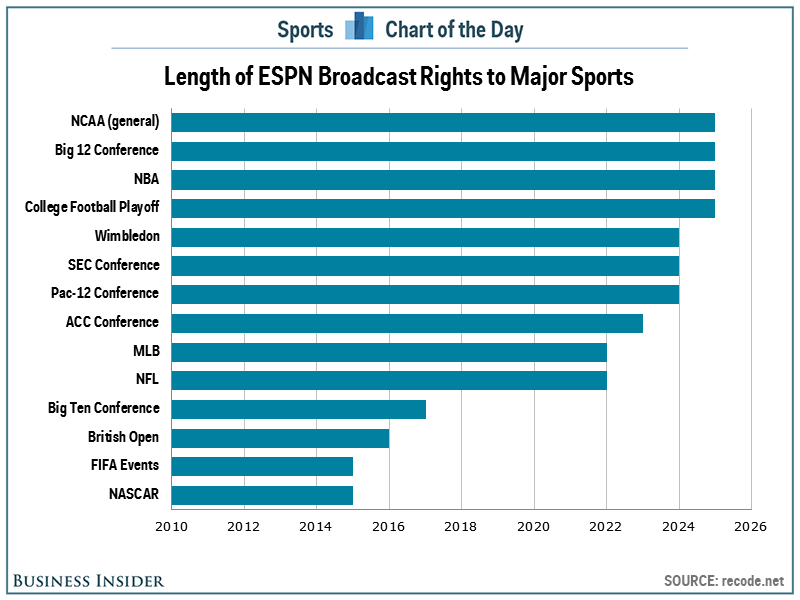 Today's Makeover Monday take a look at ESPN's broadcast rights to major sports. Seems simple enough, right? Simple, yes. But is it 100% truthful? No. I'm not convinced the data is accurate. The rights listed on wikipedia don't align, but you shouldn't assume wikipedia is 100% accurate either. The very first bar bugs me. 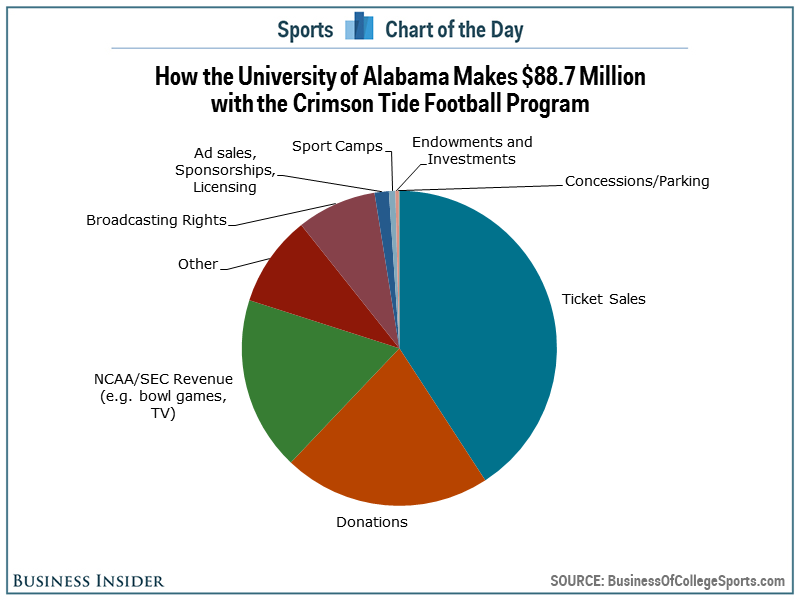 How can you bucket a bunch of sports into NCAA when each sport has a separate contract? Using a bar chart assumes that all of these contracts started in 2010, which is not the case. 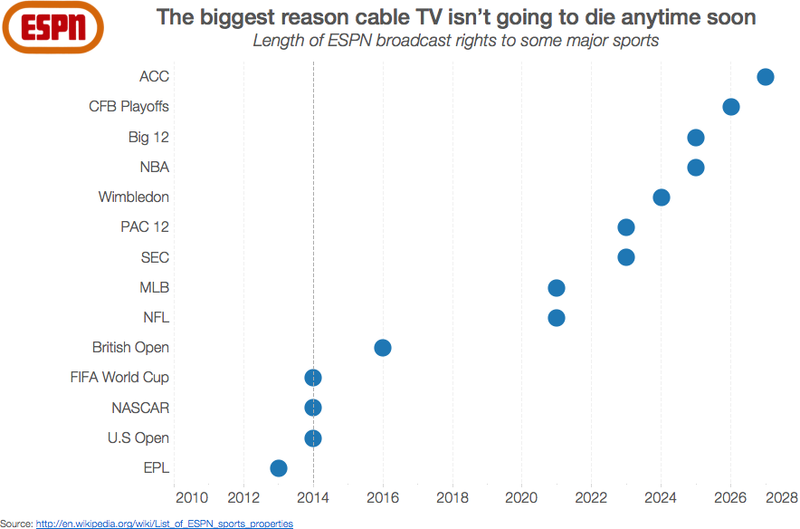 This chart shows that the college football playoff contract started in 2010, yet the CFB playoffs don't start until 2015. This is clearly wrong. I was torn between a couple of alternatives, so I'll show you both of them. If you want the data, you can download it here. You can download the Tableau workbook here. My first alternative was to make a Gantt chart so that I could see the entire length of the contracts. In this view, I've updated the timeline to go back to 1981. My second alternative is simply a dot plot view of the original chart. This view keeps the timeline starting at 2010. Which do you prefer? I'm torn.